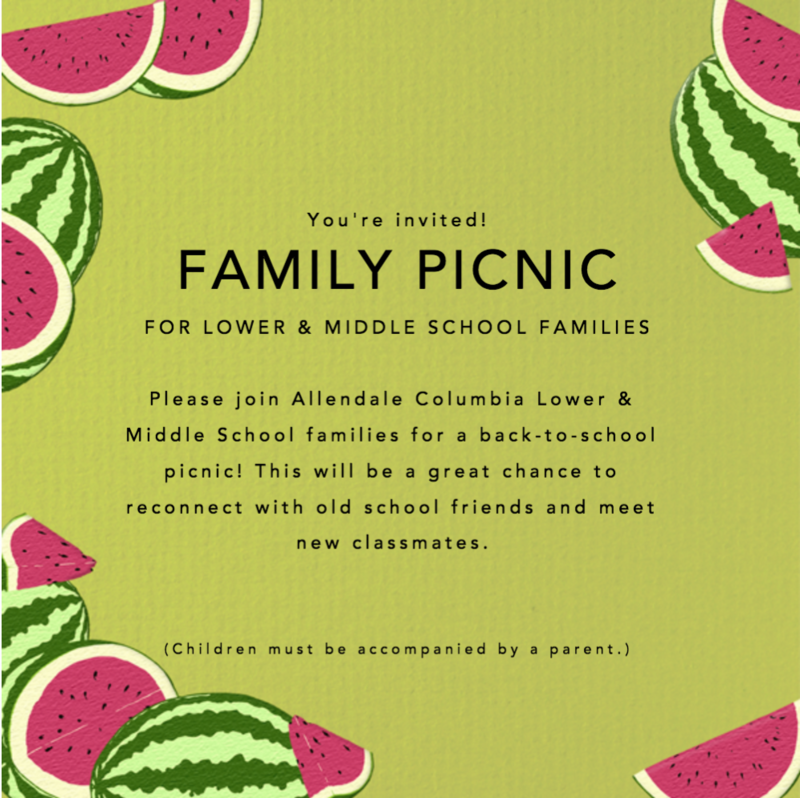 Allendale Columbia | Lower and Middle School Families: Join Us for a Back to School Picnic August 24th! Lower and Middle School Families: Join Us for a Back to School Picnic August 24th! Friday, August 24th from 5:30-8:00p.m. Parents: want to bring a dish or help?